Plot: An aging punk rocker copes with life after rock. Story: Ordinary World starts as we follow former punk rocker Perry (Armstrong) who is now married to Karen (Blair) with two children with eldest Salome (Shipman) about to be involved in a talent contest at school. He now has a 9-5 type of job while his wife is a high life lawyer and today is his 40th birthday. Perry is struggling through, missing his music and lacking the concentration in life, being late for work, forgetting appointments and not enjoying his life, as he goes through his own mid-life crisis. This changes when he decides to have a party with his former band mates and must learn to accept the next stage of his life. Characters – Perry was once a punk rocker but he settled down starting a family, but not everything is where he wants his life now. He has a mid-life crisis where he must learn about his life and where it will go next. Karen is Perry’s wife that is a lawyer that brings in the larger amount of the income, but puts up with his distraction mind. Christy is the former flame of Perry’s in his band days, she happens to walk into his life the same time as his mid-life crisis offering him a chance he never got in his music dream. Performances – Billie Joe Armstrong is good in this leading role as we see him reflect what you could see as an aging musician questioning his place. Blair and Greer are both good in the supporting roles as is the rest of the cast. Story – The story shows a mid-life crisis from a rocker point of view, it does follow how one day things go in a different way to how he would imagine which is by the books but it works so why change it. The idea of seeing how he is supported by the loved ones is refreshing as he would usually have a bigger freak out but for a feel good mid-life crisis film this hits the marks. Comedy/Music – The comedy is light through the film as we see how things are going wrong for Perry with the music moments letting Billie Joe show off his skills and true talent. Settings – The film is set in New York which shows us the different location the family wold be in as well as the big city. Scene of the Movie – Talent Show. That Moment That Annoyed Me – You feel certain characters might get mad at some point in this movie. Final Thoughts – This is a good feel good movie, it has good music and shows how hard it is to let your dreams go. Story: When writer Calvin Weir-Fields (Dano) who’s first book is considered a classic he just can’t find a way to get inspiration for his next novel. One dream starts his mind working on something that could change his life forever. 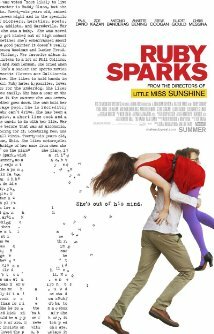 Ruby Sparks (Kazan) Calvin starts writing about a love story between him and her only what is real and what has he just made up? Overall: This was really a special film yet again Paul Dano shines in a small romantic comedy drama and Zoe Kazan as well as writing this has a wonderful job a Ruby going through all the emotions of a relationship. This will give you a chance to think about what you could do with Calvin’s ability and whether you could change someone to be moulded into the person you want them to be. Scotty Calvin’s dog is also quite the little scene stealer always popping up when he most needs his trusted companion. After watching this I am left wondering why this films don’t get more success at the cinema as the story is one people will have related to but never had a chance to do anything about.